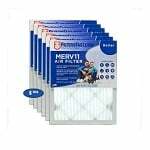 The FiltersFast FF20255X6673M11 compatible air filter replaces the Lennox X6673 and has a MERV 11 rating and is effective in the capture of particles down to 1 micron in size that includes dust, smoke, emissions, and other airborne contaminants. 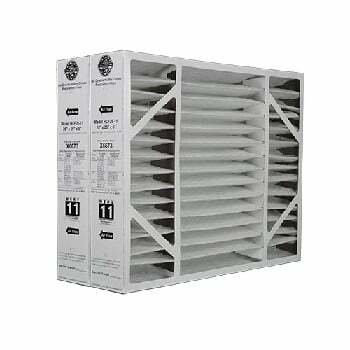 Through the use of the deep, 5-inch pleated air filter design air comes into contact with the filter media and more efficient containment reduction is possible. The Filters Fast FF20255X6673M11 compatible air filter features a quality synthetic fiber design that is less expensive than OEM products but doesn't scrimp on performance.